For my upcoming high school ELA in-service on the latest and greatest in Y.A. 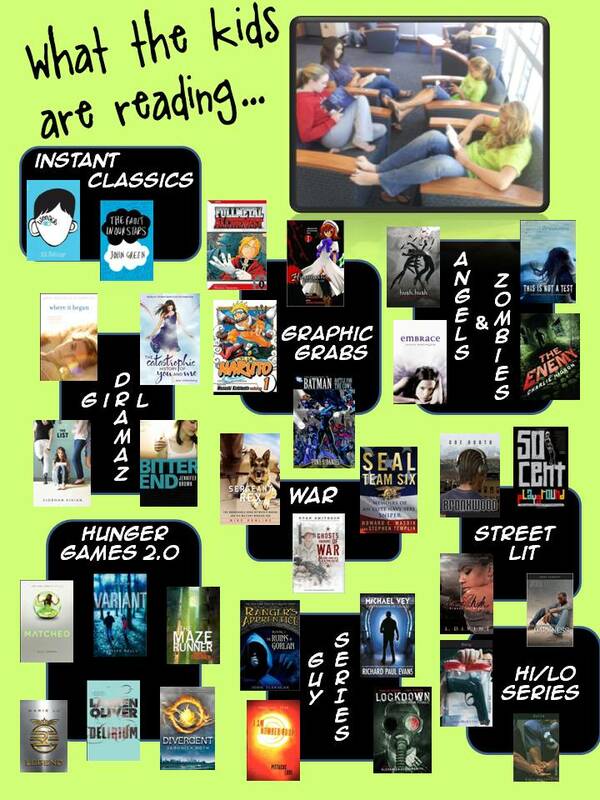 lit, I plan to share with teachers across the district the trends/series/books big at my school. For example, the dystopian trend shows no signs of slowing down, helped in part by the fact quality books and series in the genre continue to be released. Paranormal romances also continue to saturate the market, and while vampires, werewolves, faeries, and mermaids are still with us, zombies and angels are the biggest rage at the moment. Many girls continue to gravitate towards books with edgy, realistic angst, while boys - andrenaline-junkies at heart - like their superheroes and battles against evil. A decade ago, many thought manga would come and go, but guess what? Manga is not going anywhere but off the shelves and into kids' hands - I have so many Manga-obsessives, we have a Manga club just for them to fangirl/fanboy about their faves! Perhaps more unique to my student population are war books and hi/lo series books such as those titles released by Orca Soundings and Urban Underground (the Bluford series' older sibling). I just happen to have a lot of boys who will read any and all nonfiction war books - Unbroken, Flyboyz, The Things They Carried, Seal Team insert-any-number, etc. - ﻿which works perfectly with Common Core's emphasis on nonfiction, so...yay! Even my students who HATE to read can find Orca Soundings or Urban Underground titles they like. The high action and shorter length is obvs part of the appeal, but I've been especially pleased to see these same non-readers coming in on their own to check out other books in those series. 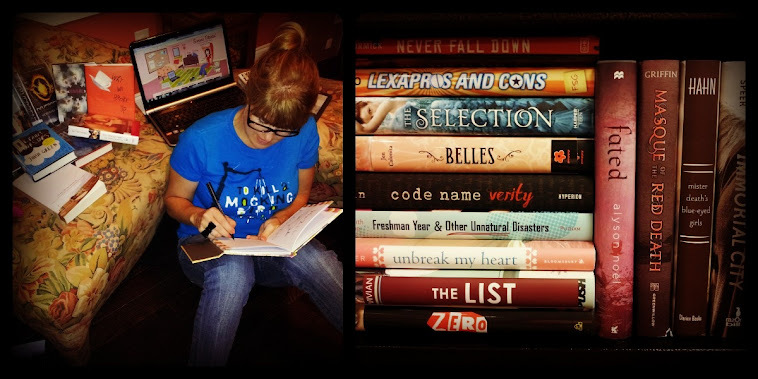 I've even been able to leap-frog a few onto books outside of those publishers but with similar themes, such as Geoff Herbach's Stupid Fast, Lisa McMann's Dead to You, and Kody Keplinger's The DUFF. The Drama High, Denim Diaries, and Kimani Tru series work similar street lit magic with my african-american reluctant readers. Lastly, I definitely want to bring to every teacher's attention R.J. Palacio's Wonder and John Green's The Fault in Our Stars. Those two novels have made the biggest impact in childrens and Y.A. literature this year...and justifiably so! They're each well-written, well-reviewed, and most importantly of all, well-received into readers' hearts. You read a book like Wonder or The Fault in Our Stars, and you're changed. Those will be my first book club selections for a secondary book club I plan to start in the district when we go back next week. Heck, Wonder should be required reading for every educator regardless of level!